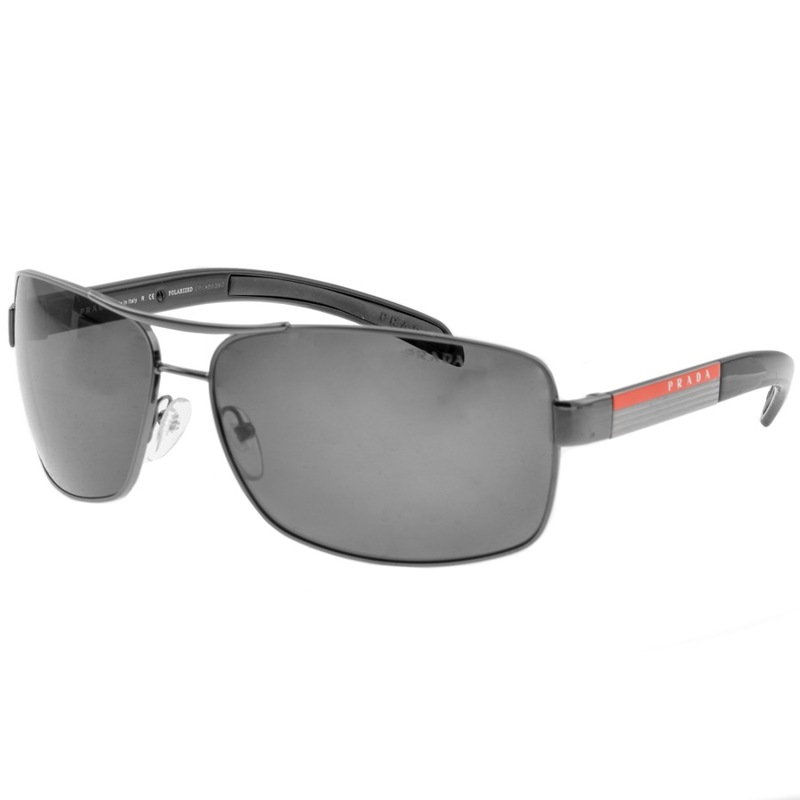 Prada Linea Rossa Sunglasses In Grey, Square frames in high shine gunmetal and black plastic arms. Grey polarised lenses which feature the discreet signature Prada logo on the left lens. Branded clear rubber nose guards and black Prada logo embossed rubber inserts at the temple ends to prevent slipping. The temples feature silver metal panels and the signature Prada Linea Rossa logo in red and white. The temple length is 130mm, the frame width is 150mm, the lens height is 45mm and width is 68mm with the bridge measuring 13mm. These sunglasses come in a signature Prada protective case complete with cleaning cloth. Exclusive Collection Of Prada Sunglasses Live Online.